Our gallery space is formal and features works from local and national artists. It looks out onto Edgehill Avenue and include a conference table which can seat 6 and additional chairs. There room does not have a projector or screen but does have WiFI. 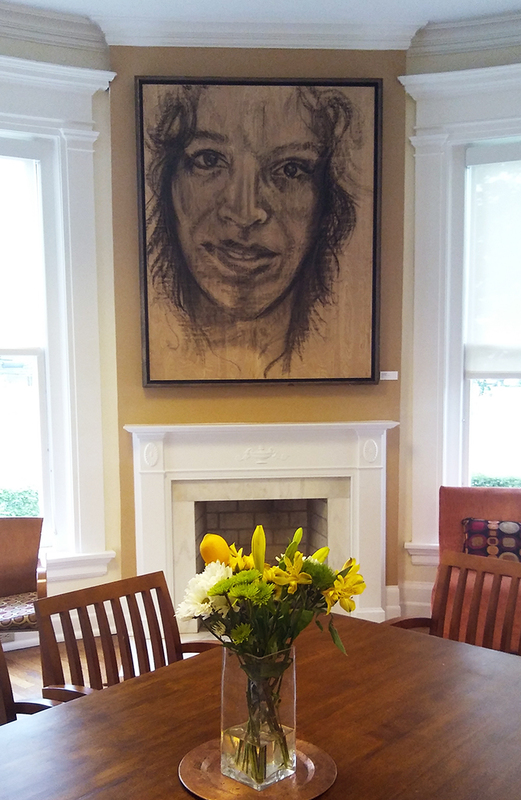 Our reading room is semi-formal and features works from local and national artists. It looks out onto a garden and include a conference table which can seat 6, a desk, and additional seating. There room does not have a projector or screen but does have WiFI. The Yamada Conference Room is one of our most flexible rooms, since it can be set up in a variety of ways. It looks out onto 18th Avenue South and includes table and chairs. Yamada has full AV capabilities. Our maker space is another flexible room perfectly suited to informal meetings, maker events, and workshops. It includes tables, chairs, easy chairs and tables, whiteboards, and a TV. The maker space has full AV capabilities. In addition to the central meeting space there are four craft-specific rooms available to reserve. A one-time training session is required before using any of these spaces for the first time. This room features sewing machines and all basic sewing tools. Equipped with some instruments and basic recording tools.